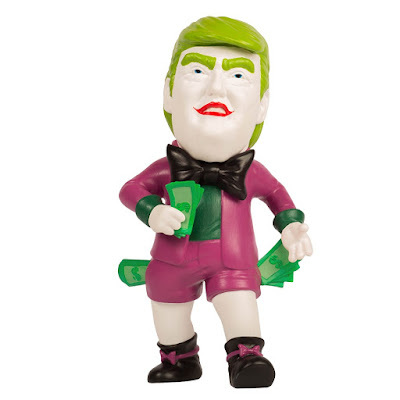 ABCNT’s Bitchy Rich vinyl figure – an homage to President Trump – is back in an all new colorway inspired by DC Comics’ Clown Prince of Crime, The Joker! 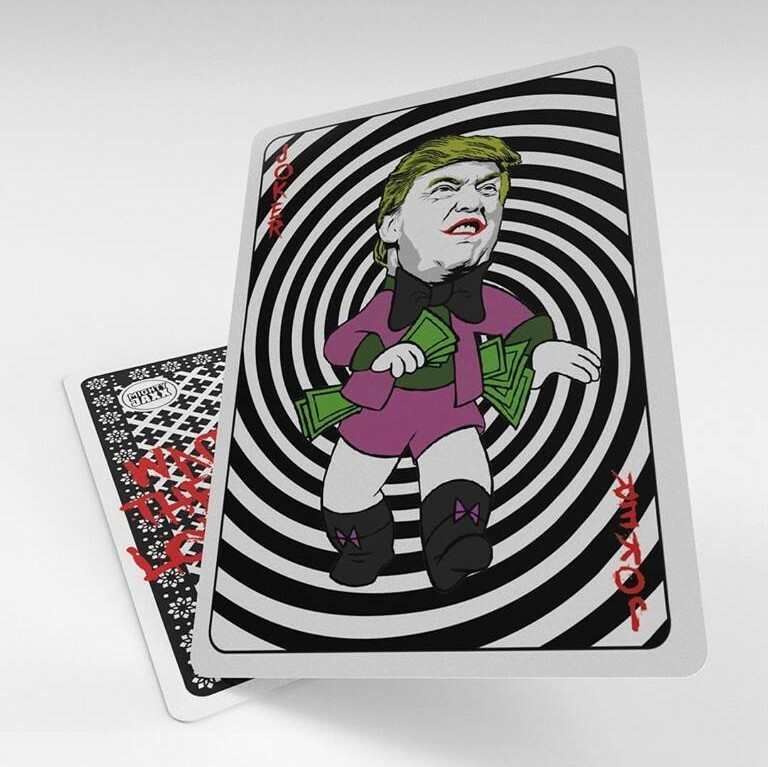 With the Madness Edition Bitchy Rich, the infamous loudmouth is back and not just rich, but he’s now the MAD Clown in Chief…or should it be the Liar in Chief? Either way, this collaboration between Mighty Jaxx and ABCNT is set to make a very strong political statement. To better suit his twisted tales, Bitchy Rich has changed his appearance – now with bleached chalk-white skin, money-green hair, and his face permanently plastered with a devilish Glasgow smile. His bow tie is in a dark shade to match his heart as he goes about his selfish ways. How can the world withstand the poisonous madness from this tiny sadistic man? The answer is in plain sight – by wielding stacks of dollar-bills! Bitchy Rich Madness Edition Vinyl Limited Edition Art Figure stands 8” tall and includes a collectible Trump Card. Collectors can purchase this new colorway now at the Mighty Jaxx online store for $80.